The biggest request I receive is to organize closets. Closets and storage are one of the most under used spaces in a home. 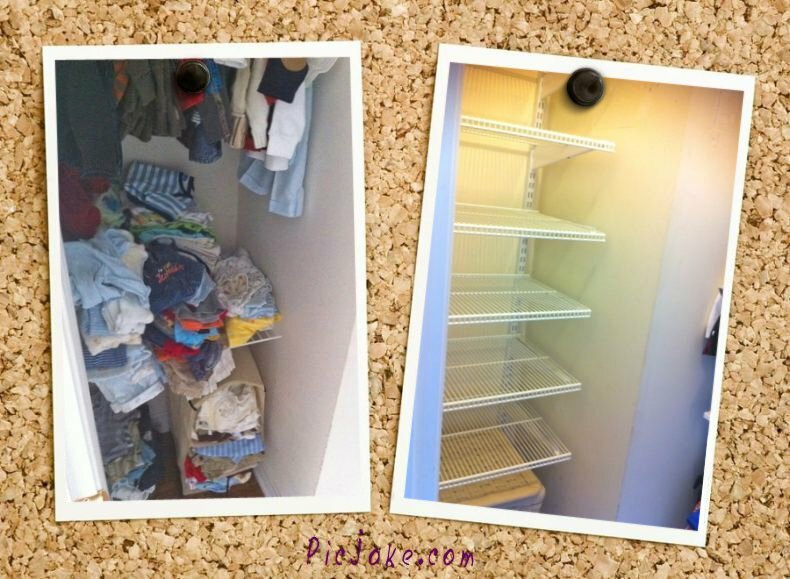 One of the biggest problems is wasted space due to poor closet design. The one hanging bar and one shelf above the hanging bar is useless and leaves a lot of wasted, empty space in the closet. So what can you do to improve the overall function and design of your closet? Here area few ideas. Let me start with the basics: sort and edit! This is the most important part of organizing, always! If you don’t start there, than the whole process is a waste of time. Click Here to read more about that process. Ok – after the initial sort is complete it’s time to start thinking about function. One of the first things I recommend in a bedroom closet is to replace the single hanging bar with a double hanging bar. Place one bar 40” from the floor and one bar 40” above that, you can adjust those heights as needed. 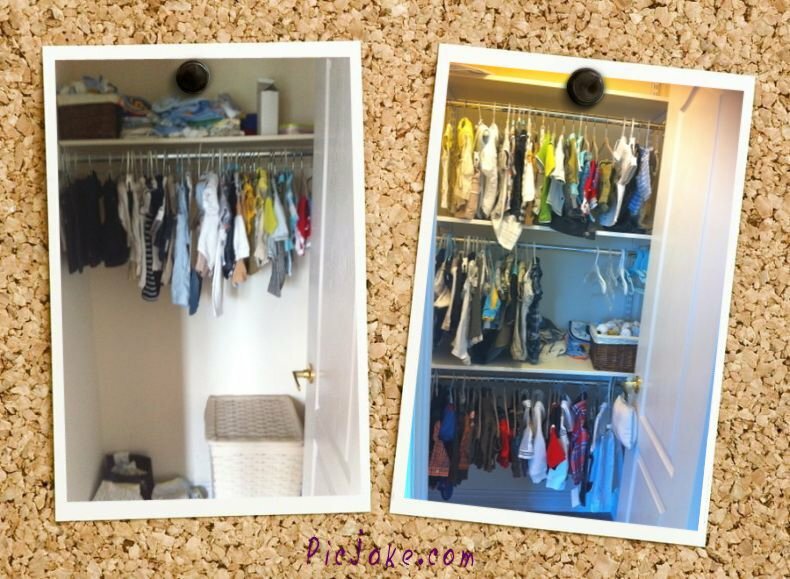 This will allow you to store twice the amount of clothing with minimal changes in the same amount of space. You can take out the existing system and add something new or you can add a bar that will hook onto the existing hang bar, these are available at Solutions, your organizing store. Something else to consider is how many of your clothes need to be hung. What could move to drawers or shelves instead so they take up less room. Add shelves or drawers to your closet to accommodate these needs as well. You can add cloth bags, shelf dividers and baskets to keep loose and folded items organized and available. Keep unnecessary items out of your bedroom closet. Here are five things to remove from your closet right now: Halloween costumes, broken sports equipment, luggage. Combine sets and donate the rest, any item that only fits an unrealistic thinner you, uncomfortable shoes that you will never wear. Change the hangers in your closet to thinner color coded options. If you share a closet with your spouse than consider choosing one color for yourself and one color for them. The thinner hanger will take up less space and the color of the hanger will make putting laundry away a breeze. 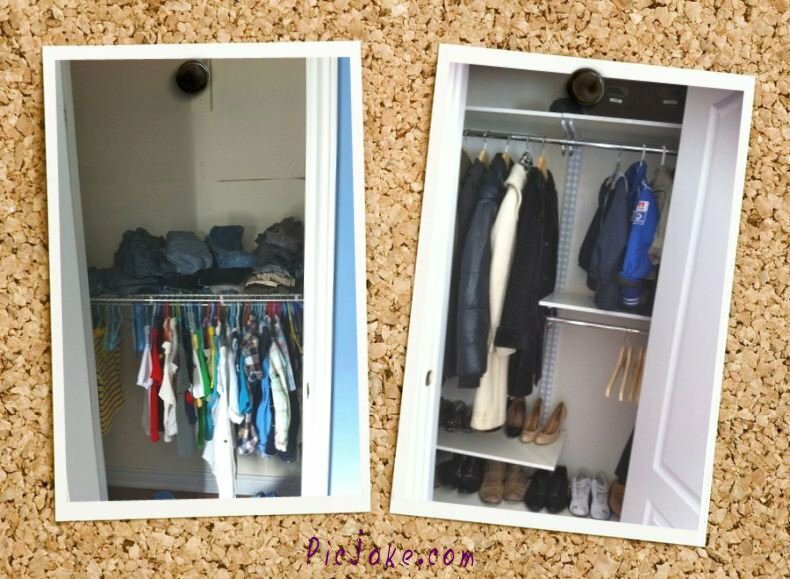 To create a functional closet you don’t have to spend a lot of money or overhaul the whole space. There are minimal changes that can happen to increase the overall function and design. I love to hear feedback so write any questions or comments below. This whole month I will focus on closets. Next week we’ll examine the front hall closet.